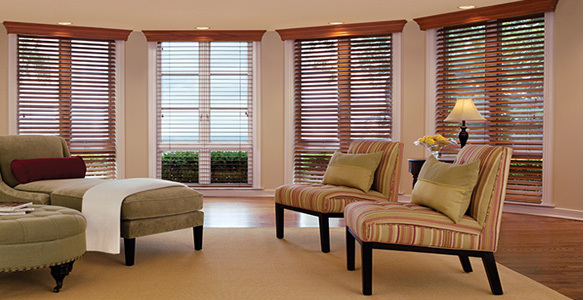 Without energy-efficient window treatments, as much as 50% of a home’s heating and cooling energy can be lost through its windows. Considering how much you’ve invested in your home, make the smart move and protect your investment. 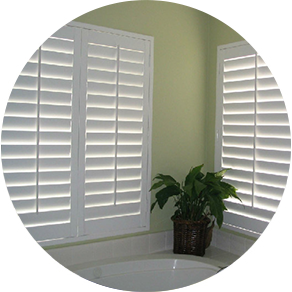 Professionally installed Window Blinds, Window Shades, and Shutters can help increase the energy efficiency of your home and reduce your energy costs. 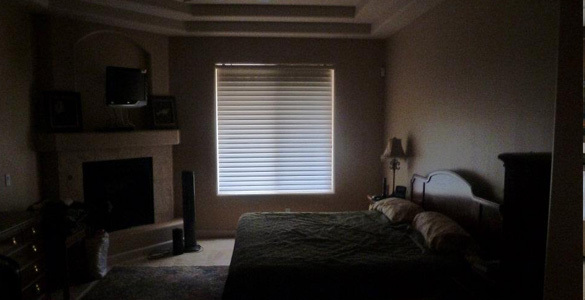 Blinds – Window Blinds are available in 1?, 2?, 2 1/2?, wood, wood alternative and metal, stained and painted in many different colors. Shutters – Sunset Arch, Horizon Arch, Premium Arch and Kaleidoscope Arches available. 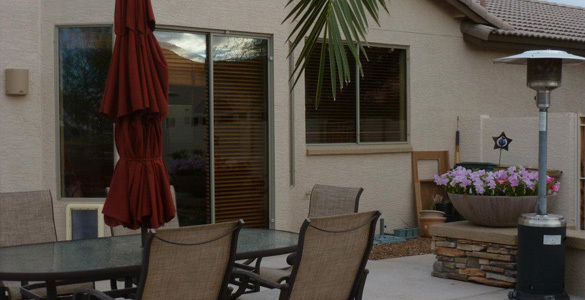 Heritage Shutters – Traditional Look, Low-Maintenance, Additional Insulator – heat, cold and noise, Made here in Arizona. 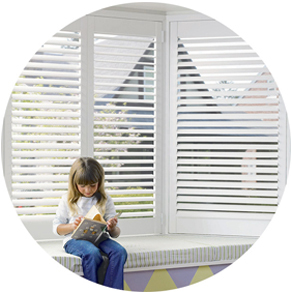 Interior Sun Control Fabrics allowing an average openness of 3%, 5% and 10%. 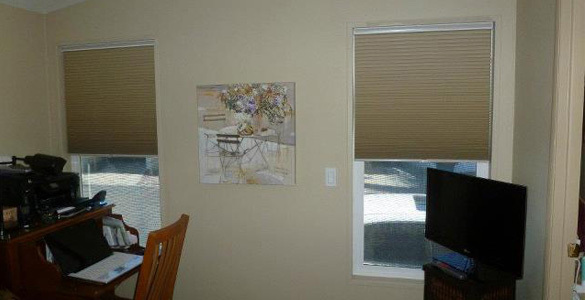 These roller shades come in many different colors. 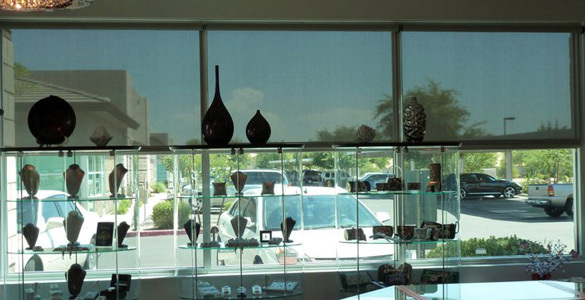 Designed to cut glare, UV and direct heat gain while allowing some visibility. Great for residential, simple and functional. Engineered to be durable for today’s demanding commercial market. 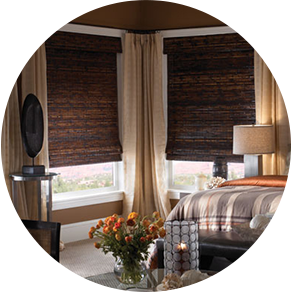 Roman Designer Shadings – Woven fabric of the highest quality, crafted into suptuous window treatments with soft overlapping folds for a rich traditional look. 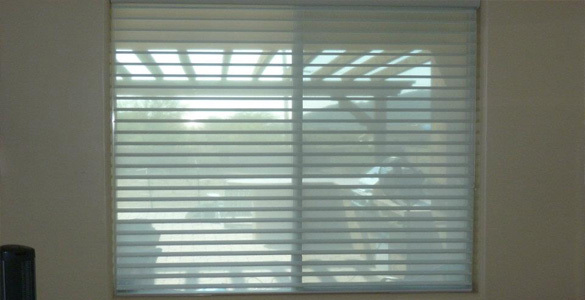 The shadings are controlled by a smooth cord lock to provide superior light control and flawless operation. Available in both hobbled or flat fold styles. 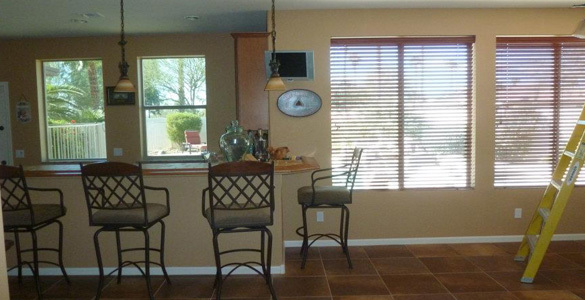 Roman shades are sure to enhance the look of any decor. Honeycomb Collection – Standard Rectangle, Top-Down/Bottom-Up, Top-Down only, Stationary Arch, Moveable Arch, Stationary Quarter Circle, Moveable Quarter Circle, Continuous Cord Loop, Deluxe Cordless Lift System, Deluxe Cordless Top-Down/Bottom-Up Lift System, Two-On-One Head rail and Day-Night Shade. 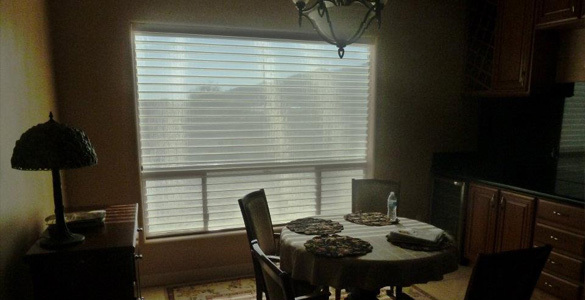 Vertical Honeycomb Shades – Left Stack, Right Stack, Center Opening, Center Stack and Dual Panel – two fabrics spanning the opening from each side. Sheer Horizontal Shades – 2? Vane Sheer Fabrics, 2? Brushed Fabrics and 2? Vane Room Darkening Fabrics. 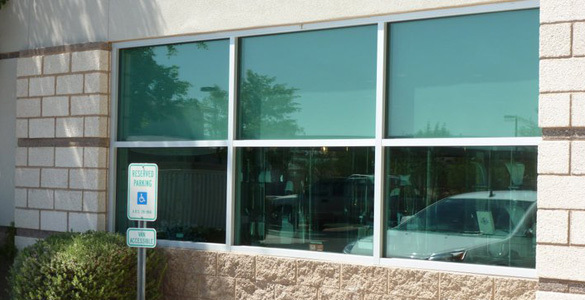 Veteran Tinting and Blinds is your source for window blinds, shades, window coverings, shutters and window treatments all at affordable pricing and easy ordering. 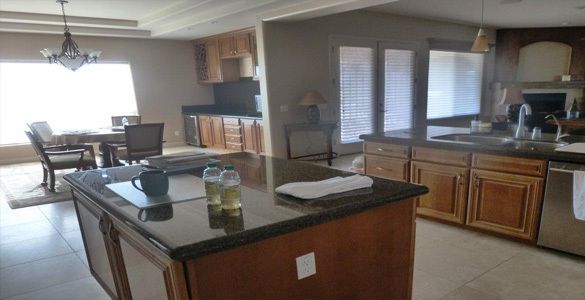 Products carry a Limited Lifetime Warranty on workmanship. 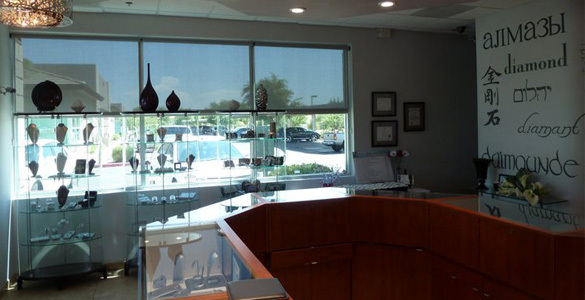 Normal wear and tear and sun damage are not warrantied.